Not for the faint hearted today with 30mph winds, but thankfully the torrential rain that was forecast didn’t materialise, with the odd drizzly shower instead. 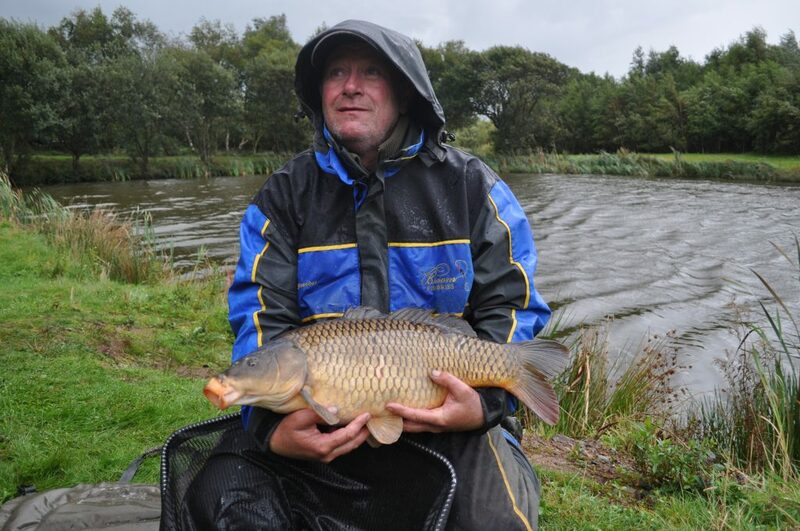 Feeder rods & very short pole lines were the only methods manageable..! 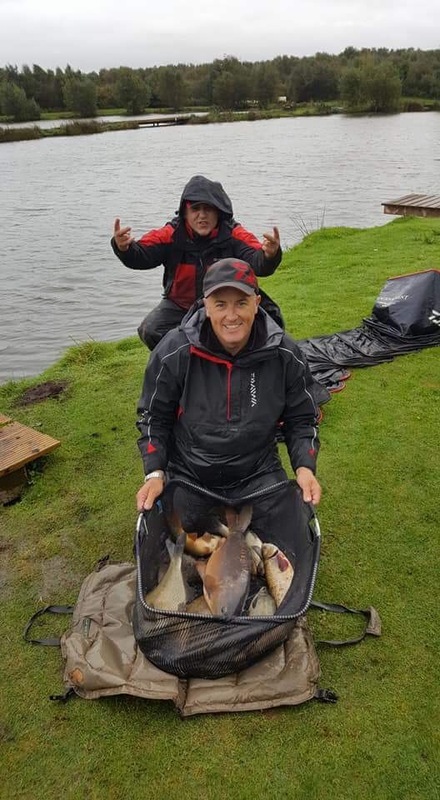 Winner today was Barry Young, who drew end peg 15, and he didn’t fancy it at first with the wind blowing towards the other end of the pond. However he was able to fish a 13m pole line for an hour or so, managing 9 ide and a chub before they moved off. A switch to his right hand margin produced 5 Carp, with another 15 carp caught on his method feeder to weigh in a superb 75lbs 4oz. 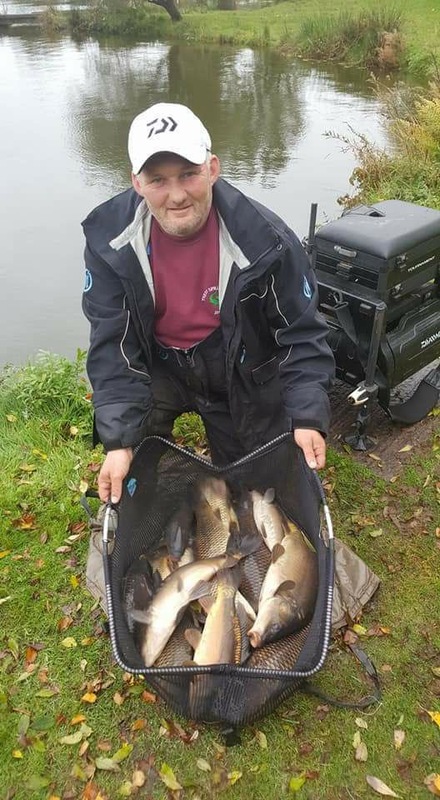 Steve Royle drew yet another end peg, 28 this time, catching a few small carp on the method feeder before switching to his left hand margin, when he caught two big ” lumps ” and 4 chub to weigh in 42lbs and finish 2nd. 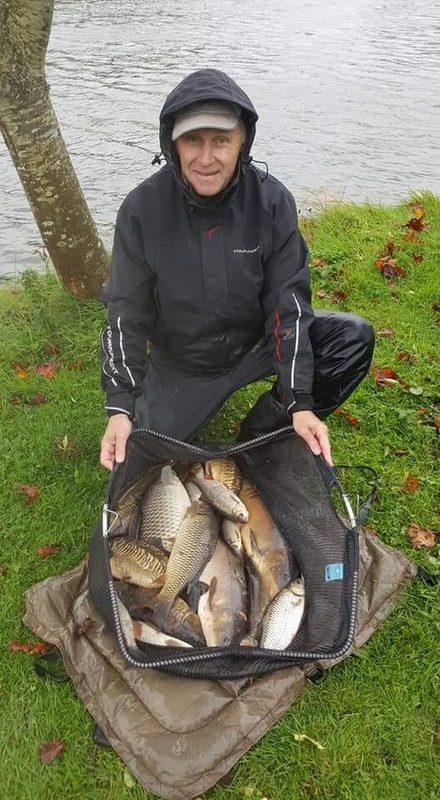 David McAuley took third place with 36lbs, a nice mix of big skimmers and ide on pole, and a hefty carp too on light elastic. 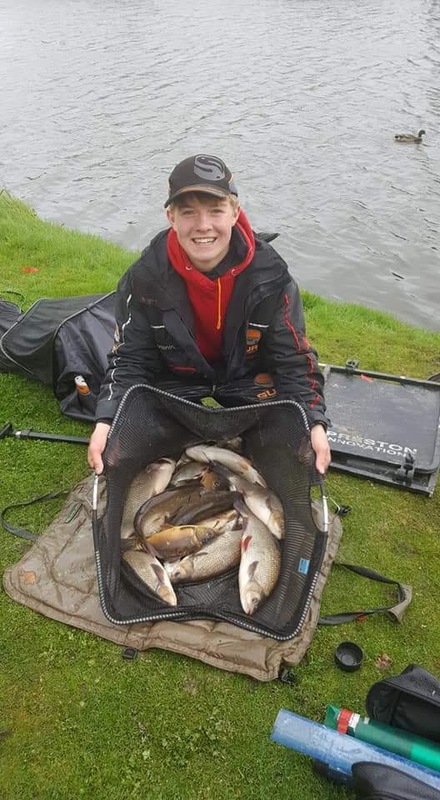 Had the wind not been so severe today I think many could have doubled their weights, the fish were in the swims and feeding, presentation being the main problem.